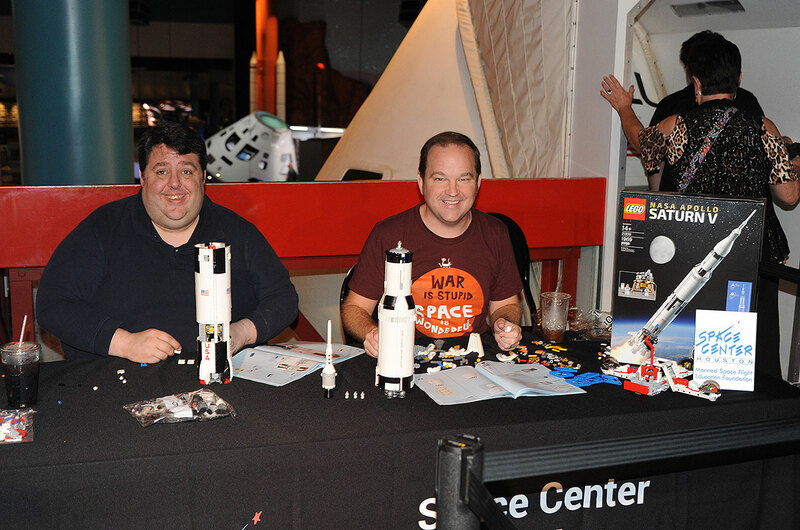 — The countdown is finally over — LEGO fans can now build their own towering model of NASA's Apollo Saturn V rocket, thanks to the launch of a new toy set on Thursday (June 1). The iconic black and white booster, which lifted off almost 50 years ago to land astronauts on the moon, takes shape from 1,969 toy bricks, a nod to the year in which humans first set down and walked on the lunar surface. Standing more than 3 feet tall (100 centimeters), the $119.99 set is the tallest model to be released as part of the LEGO Ideas line of fan-designed kits. "Build the first rocket to land people on the moon!" declared LEGO on its website. First proposed by Felix Stiessen and Valerie Roche (known by their usernames, saabfan and whatsuptoday, on the LEGO Ideas website) in 2014 to mark the 45th anniversary of the Apollo 11 moon landing, the Saturn V took three years to get off the ground, but is now ready to soar off shelves as it goes on sale at LEGO shops around the world and via the Danish toy company's online store. "I have been a fan of space travel for pretty much as long as I can remember and I particularly like the NASA Apollo missions because the fact that humans were able to set their foot on another celestial body was, and still is, very fascinating to me," said Stiessen, a 17-year-old from Austria, during an event held at a LEGO Store in Vienna on Friday (May 26). "The moon landing is something special for me." 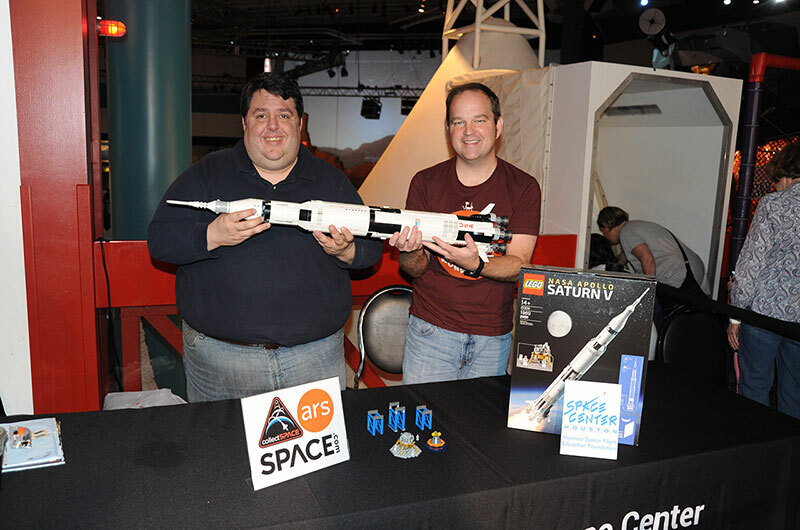 "The Saturn V rocket was the heaviest and most powerful rocket launched ever, so it is quite a cool model to build in LEGO," he said. collectSPACE, in collaboration with Ars Technica and Space.com, put the LEGO NASA Saturn V model to test, assembling the set in front of a full-scale mockup of the moon rocket's upper stage at Space Center Houston, the official visitor center for NASA's Johnson Space Center in Texas. 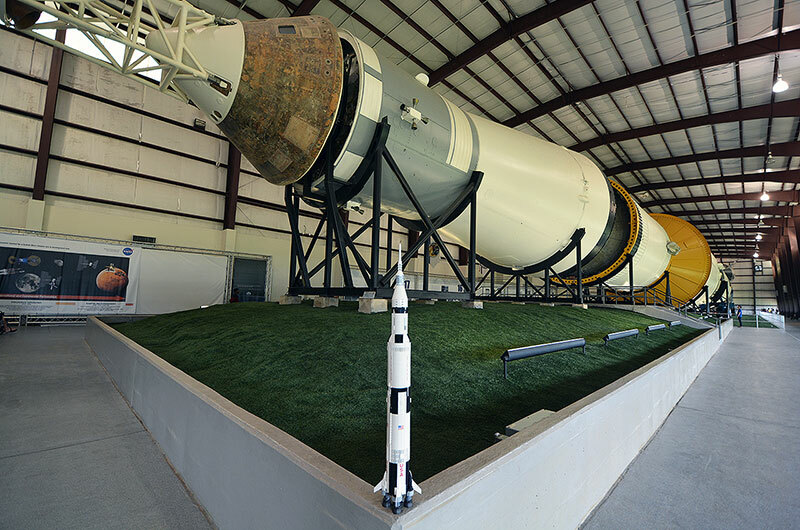 The center's Rocket Park is home to one of only three remaining real Saturn V rockets. Filmed as a time lapse, the entire build appears to take just a minute and a half, but in total it took collectSPACE's Robert Pearlman and Ars Technica's Eric Berger four hours (and eight minutes) to complete. To put that into some perspective, in roughly the same amount of time, the historic real Saturn V booster was able to lift off with three astronauts, drop off two of its expended stages, circle the Earth one and a half times, fire its third stage to set off for the moon, and still have time remaining for the crew to fly the Apollo command module away from the booster, turn around and dock with the lunar lander. The LEGO model can be used to reproduce all of those mission milestones (and more). Once pieced together, the toy rocket can separate into into its three stages and the lunar module can be extracted from inside the spacecraft adapter section to link up with the command module for imagined journeys to the moon. Once there, the lander can even touch down on a pegged lunar surface, where the included microscale astronauts can take small steps (tiny, really) and giant leaps for all of LEGO-kind. And at the end of the mission, on the astronauts' triumphant return to Earth, the command module can "splash down" and "deploy" its flotation devices on a blue ocean surface. The LEGO NASA Apollo Saturn V set includes a 200 page booklet that in addition to profiling the designers and providing a history of the Apollo program, lays out the assembly of the rocket. Half of the pages are devoted solely to the instructions for the S-IC, the Saturn V's first stage, with the remainder covering the S-II and S-IVB (second and third stages), as well as the Apollo spacecraft. 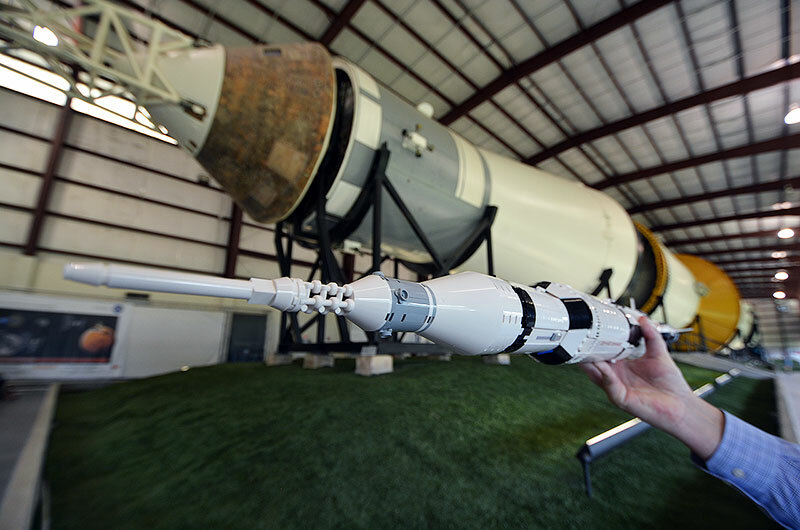 The instructions also step through the construction of three small stands suitable for displaying the Saturn V horizontally, either as a complete rocket or divided into its stages. Recommended for builders ages 14 and above, most of the Saturn V assembly is straightforward, if not also surprisingly colorful — red, blue and yellow bricks are used to form the interior support structure for the black and white exterior panels. There are though, a few components such as the F-1 engines at the base of the first stage that are more complex to build. 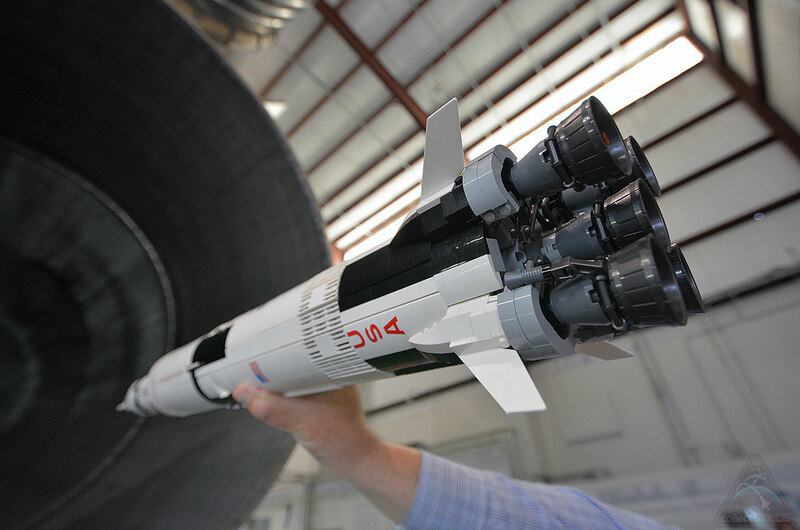 The rocket's markings, including "USA," "United States" and the U.S. flags that were added to the real boosters' bodies, are reproduced as printed designs on the brick pieces. The model does not include decals or stickers. When assembled, the LEGO Saturn V stands on its own. A good pull is needed to separate the stages, such that the rocket feels ready to lift off on new adventures. LEGO NASA Apollo Saturn V model photographed with one of the three remaining real moon rockets. Photos taken during a public tour of Rocket Park at NASA's Johnson Space Center in Texas, as operated by Space Center Houston. 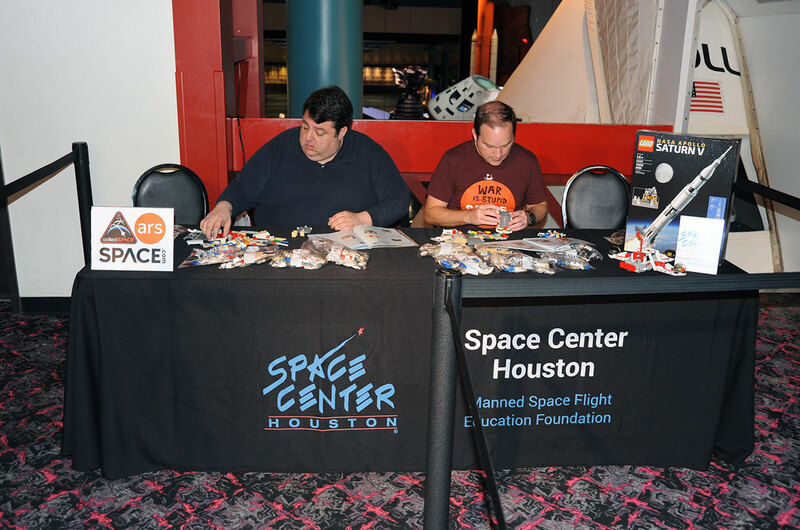 collectSPACE's Robert Pearlman (left) and Ars Technica's Eric Berger build LEGO's new NASA Apollo Saturn V at Space Center Houston, the visitor center for NASA's Johnson Space Center in Texas. The total build took four hours and eight minutes.